Nahuel Pérez Biscayart is the stand-out performer in Robin Campillo's "120 Beats Per Minute". France has selected Robin Campillo's “120 Beats Per Minute”, this year’s Grand Prix winner at the Cannes Film Festival, as its submission in the best foreign-language film category of the Oscars. A tribute to direct-action group ACT UP, Campillo’s new feature is a deeply moving drama about gay activists striving to live life to the fullest even as they battle disease and indifference. It was selected from a shortlist that included Mathieu Amalric’s “Barbara”, which won the Un Certain Regard special prize at Cannes, as well as Jean-Luc Godard biopic “Redoubtable”, from Oscar-winning director Michel Hazanavicius. Last year's French pick "Elle" failed to make the foreign-language shortlist but earned star Isabelle Huppert her first Oscar nomination. The last French film to win the foreign-language Oscar was Indochine, starring Catherine Deneuve, back in 1993. 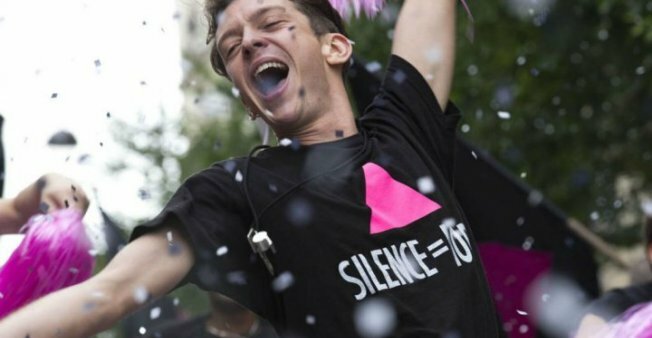 “120 Beats Per Minute” was the darling of the Cannes Film Festival and the toast of the press, featuring stand-out performances by French actor Arnaud Valois and Argentina’s Nahuel Pérez Biscayart. It draws on Campillo’s own experience of ACT UP’s Paris chapter to pay tribute to the young men and women who did much to raise awareness of the AIDS epidemic in early 1990s France, at the height of the crisis.